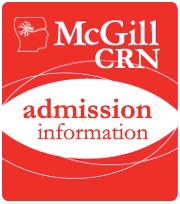 McGill CRN has a strong tradition and continued excellence in neuroscience research. Performing innovative and important research in basic and clinical neuroscience. Providing excellent opportunities for students and postdoctoral researchers. We host weekly Seminar Series throughout the academic year, with talks by international and local experts. CRN research is supported by grants from international, national, provincial and local agencies. See our latest achievements in high-impact research papers, success in funding, and accomplishments of our trainees. Welcome to the McGill Centre for Research in Neuroscience! We are a vibrant and multidisciplinary research centre located at McGill University in Montreal, Canada. The research conducted by our highly interactive research groups has led to major advances in basic and medical neurosciences. The CRN provides training to students toward an MSc or PhD, and to postdoctoral researchers and MDs for careers in research.